Very high bond tape creates a stress-free, indestructible bond on various metals, steel, aluminum, powder coated finishes, vinyl, plastics and glass. Tape sticks permanently to the entire bonded surface area compared to mechanical fasteners, which create stress at each separate attachment point. High bond tape is an ideal solution for affixing solar panels into frames, as well as mounting finished modules. For example, you can use our high bond tape to attach solar panels to brackets on buildings, roofs, RVs and anywhere solar power will be used. Supplied in rolls or spools of tape and custom cut to specified widths. Also available in custom die cut parts for easy assembly. Very high bond tape saves time and money when building and mounting PV solar modules. Tape eliminates the need for spacers and sealant mixtures, as well as additional labor and drying time. The simple peel and stick application requires no additional tools or messy clean-up. Strong winds, UV rays, rain, heat and cold are no match for acrylic foam tape. High bond acrylic maintains high inner strength and a lifetime bond even under the most extreme weather conditions. Acrylic foam tape also resists ageing, yellowing and solvents. Acrylic foam tape absorbs impact, vibration and noise. Unlike traditional fasteners methods, foamed acrylic provides a buffer between bonded materials to dampen vibrations, prevent rattling and cushion impacts. Very high bond tape also provides noise reduction, especially where mobility is key. Very high bond tape provides a seamless bond for an attractive finish. Reduce the look of unsightly rivets, welds and screws that can rust, strain and wear out substrates over time. Acrylic foam tape offers a clean, smooth bond for a modern world. Use high bond tape to attach solar panels to metal brackets. Also fasten solar panel mounting hardware to recreational vehicles. Mount solar panels onto installation brackets, fix frames onto panels, and bond junction boxes to backsheets. Install photovoltaic solar panels on office buildings, high rises, warehouses, and other solar powered industrial facilities. 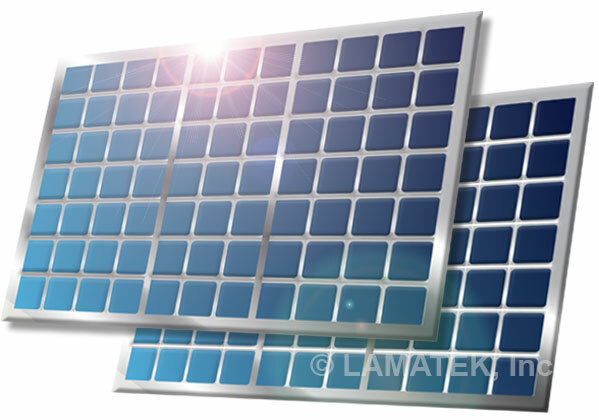 Mount solar panels and brackets to the roofs of residential homes, garages, sheds, and other residential structures.